When was the last time that we laughed? When was the last time that we cried? Or just walk away with our pride? Very beautiful. When a reader can find themselves in any piece, that’s the most beautiful piece of writing. Your writing has my heart. This is really well written, feels like something I’d read in AP literature. Beautiful. Truly beautiful and extremely powerful. Thank you for putting feelings to words and sharing them with us. This hits home for me. Another truly beautiful poem Frank … made me cry. Oh man! Amazing I loved and lived your words. Truly you are an artist of words. Magician I could say or a musician who sang our hearts. (slow exhale) wow! WOW!!! Take a bow, my friend, that’s a masterclass! Please Welcome Frank Solanki. Please sit back and read Frank’s soulful and moving “Final Poem”! Check out Frank’s other works! A true poet’s words, beautifully bled out in verses from the pieces of a sensitive heart. A poem for the many broken hearts , lying in pieces, trying to find strength to move forward. The show must go on….there’s a shimmering light on the far horizon. Frank, what a beautiful Swan song to your love and acceptance of loss and renewal. It could be a wonderful song too. The lyrics would just be awesome. From what I read I believe your poems will address a new road from now. Very well put, Frank. Love it. This is great, love the flow. Absolutely Wonderful, Frank! Sad and tormenting, but some things must be let go. what you do for another makes your heart stronger. I agree with Peter. Letting her fly away gives her power to choose what is best for herself. if she returns she will be happier. if she doesn’t, you never really had her heart. It is palpable that you have done the best you can for your friend. She is the only one that can revert the situation so that you don’t call it quit. vow very good poem. Thanks for liking my poem pl leave your valuable comment . you are versatile poet. But then again I never said it was. My mind-at least that’s what it says. Hi Frank – thanks for sharing. Here’s a poem to move on with that I penned at the depth of my (imagined) despair. We cannot be in despair when we know for certain there is the perfect other for us other there somewhere – even if they are not in our lives currently. They exist. Radiate your love and desire and they will appear. And it won’t necessarily be bells and whistled. Perhaps they’ve come to highlight your errors…. I know what it means to make that final poem about something or someone! Thanks for the share, and for stopping by my crazy blog, too! That is really beautiful. Thank you for sharing yourself! Wow!! This poem inspired me to love myself first before I love others. You are an inspiration. Well, if ever a poem hit the spot, this was the one. I like the boldness and especially the chorus. You’re words are just EXPLOSIVE!! Wow! thanks for a stopover and liking my work, just because of such nice gesture, I am introduced to your blog.your work are authentic, interesting and genuine, I appreciate your work. Beautiful. I can relate to your words. Writing can be cathartic. This is light ; standing tall in the warm glow of self respect. Sometimes we just need to say ciao. Beautiful. I very much like to the refrain in it. And I understand this is your last poem about your lover. But I certainly hope it is not your last poem. When you express your emotions so honestly, the pain is not only shared, but also deeply felt by all who read your words. Just wow. Your poem reflects what I am feeling right now. Freeing yourself from pain. Beautiful and bitterly enjoyed the read..
That is a wonderful poem- quite Shakespearean in its tragedy and emotion. If it is autobiographical I feel your pain and I hear a new you emerging through it- wiser, stronger, but still loving and giving. Did you ever create music for this …? Really brilliant piece , just reading this right now. I’m thankful to read such a piece, in a positive way. Just the complexity of the language is a little beyond a non native speaker. I get everything now. Just started to pay attention to all your blog posts and the other post. I’m really enlightening and grateful to have the prilvege to read such beautiful literature . Oh my god! This is amazing and you’re now my favourite writer here. Each word is amazingly beautiful! EACH WORD! It is rare to see a poem with a chorus included these days … something associated with the older poets. A great read! I read pain in your words. I understand you may have gone through something strong to have written these lines but as a piece of friendly advice, I really think you shouldn’t give up on a person. It’s never the end even if one among the two hearts has enough room for the both. Love her and if you can’t tell her today, do it on some other sunny beautiful day. It’ll bring your heart back to where it belongs. This was an excellent piece! Impressive journey and loved your words and phrases! I will have to return and reread to glean some of the gems of inspiration you left for your readers!! Me too. There were repeating choruses. I actually found my way over here because of the reblog on La Petit Muse. Lovely poem, Frank. This poem made me think of how sometimes we chose the wrong person. But even sadder, is that sometimes we choose the right one, but we fail to grow together, and lose ourselves somewhere. And if ever a time comes when both people give up on trying, the relationship is lost. Not to say that one person can save a relationship, but sometimes they can keep it afloat until the other person comes around to help fight for it. To be the only one who’s trying though, that’s hard. You can only be the boat for so long. Once you start reading, you’re hooked with the words and play on emotions. Brilliant writing at its best. Wow. I mean…. just wow. I’ve read it twice and all the emotions in this piece! Brilliant write, Frank. All your poems are amazing! Please let this not be the finale. I’m hoping to read more of your work! 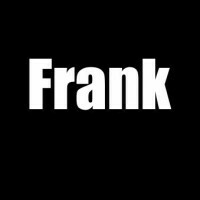 Thank you for reading my ” letter to my brother” I just wanted to say my brother’s name was Frank…. This touches my core. It’s as if he reached into my heart and wrote what it was feeling. Thank you! I finally closed the door. It was a very inspiring poem. I know what it is to do and do and do and get exhausted. And leave when there is no reciprocity of the kind you anticipate. Because you really are in a different wave length. So many emotions. Beautifully written, Frank. It could be your final poem for her… but to the best I understand you from your poems and blog, it should not be the last one for your fans. You cannot disappoint your big fan-following. You cannot do the same thing to your readers what she did to you (your poems). BTW… I am sorry for kind of break-up pain you might be undergoing. I can have a little bit of idea about similar phase of detachment, but it sounds like, probably you two were not “made for each other”. She couldn’t understand you, or probably her poems were altogether at different frequencies of life . Simply awesome, once you start reading it you are in..